First: Tired of seeing houses that haven't been well cared for? Then this home will be a pleasant surprise. Oak floors throughout, one car garage and a wonderful family room with wood fireplace, plenty of room for a pool table and a great space for a party or Patriots Games. Second: want to live near the water and be close enough that you'll be able to walk your kayak to it? This property has deeded access to Goose Cove at the foot of the street. Either kayak or take a small boat from Goose Cove out to the Annisquam River and Wingaersheek Beach. 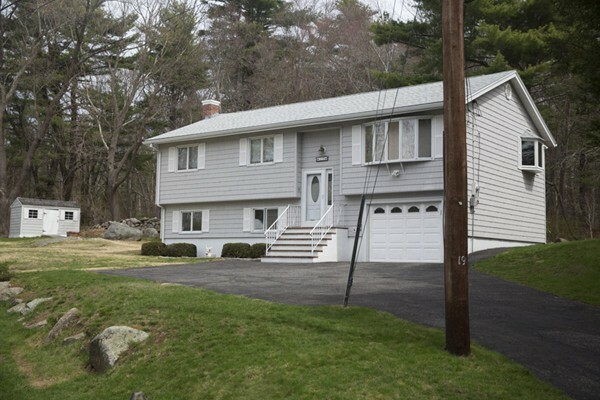 Plus,the property is only 2 1/2 miles to Plum Cove Beach. Good maintenance includes newer roof and siding and some newer windows. Visit You Tube for video.